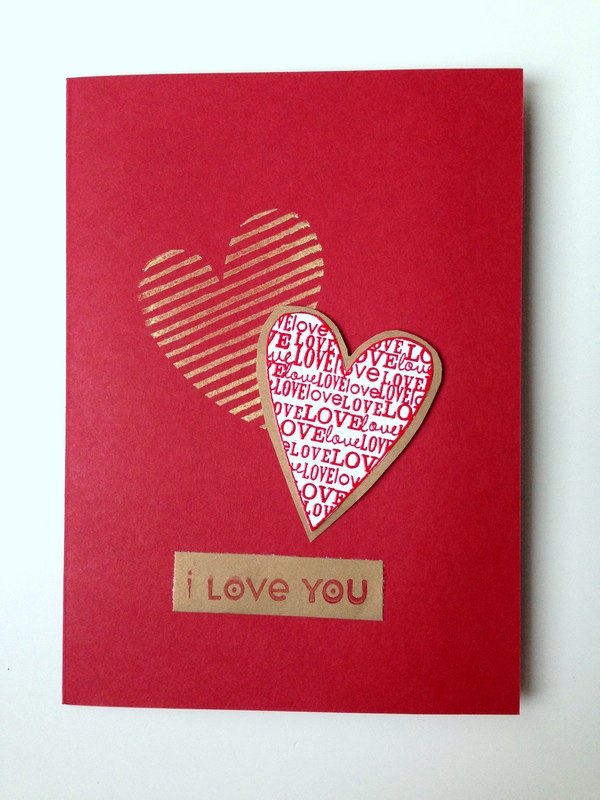 Handmade Valentine’s Day Cards Class – Sign Up Now! I am teaching a craft class Wednesday, February 3rd to make beautiful, handmade Valentine’s Day Cards – SIGN UP NOW! If ever there was a holiday to spend time and effort to hand-make a card for your loved one, Valentine’s Day is it! Read the catalog description of the class below. Keepsake Valentine’s Day Card Class: Legend has it that the practice of sending Valentine’s Day cards began in this country when a Mt. Holyoke College student received one such card from her beau in England. The daughter of a stationery manufacturer, she convinced her father of the business potential behind this idea. Thus, the Valentine’s Day card was born! Come join Jess for an evening of handmade heartfelt fun. Using rubber stamps, embossing powder, paper punches, decorative tape, and more, you will create at least two one-of-a-kind cards that express your creativity. Once you learn how simple and rewarding it is to make your own cards, you’ll never again settle for store-bought. This class is ideal for friends and adult/child pairs. Please bring scissors suitable for cutting paper; tuition includes a $10 materials fee.